DON’T BE A PUNK, DUNK THAT JUNK! The Insider’s Aakriti Sharma reports on the latest campaign to Keep Delhi Clean! 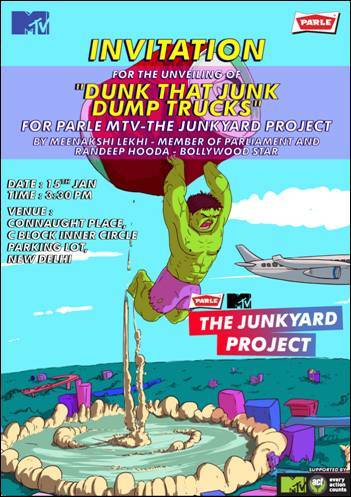 MTV in association with Parle has come up with “The junkyard project” to encourage youth regarding Prime Minister’s Swach Bharat Abhiyaan. This is an attempt to get the youth to take a stand on ‘cleanliness’ and aims to action change on-ground through clean-up drives that are built on music and art. A promotional event for the same was organized in innner circle, Connaught Place on 15 January. 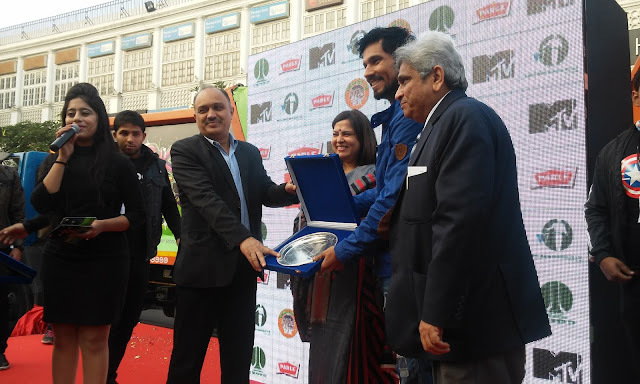 Member of Parliament, Meenakshi Leikhi, Mr. Naresh Kumar, chairman of New Delhi Municipal Corporation and Bollywood actor Randeep Hooda were present to acknowledge and encourage the initiative taken up by MTV and Parle. The project has achieved 1 million interactions on social media in span of three weeks. Bollywood celebrities -Shahrukh Khan, Ayushman Khurana, Sonam Kapoor, Aditi Rao, Farhan Akhtar and many more bestowed the message “Don’t be a punk, Dunk that junk” Actors- Kriti Sanon and Varun Dhawan participated in dunk that junk challenge by communicating the message via video. The event kick started with the same challenge for MP Meenakshi Lekhi and Mr Randeep Hooda. 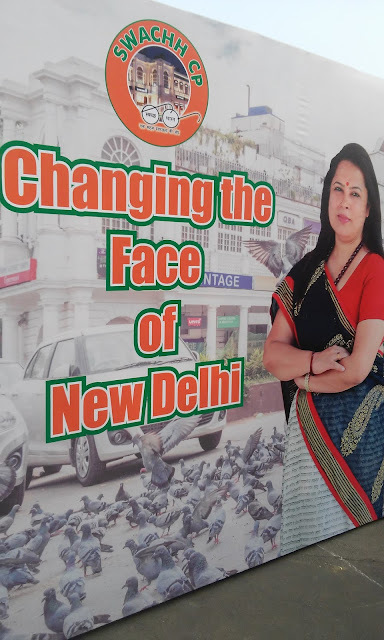 While talking about the initiativeMeenakshi Lekhi, Member of Parliament said, “India’s biggest strength are its young people and I truly believe they have the power to make change happen.” Randeep Hooda also mentioned that how this campaign had made cleanliness a lot more fun. 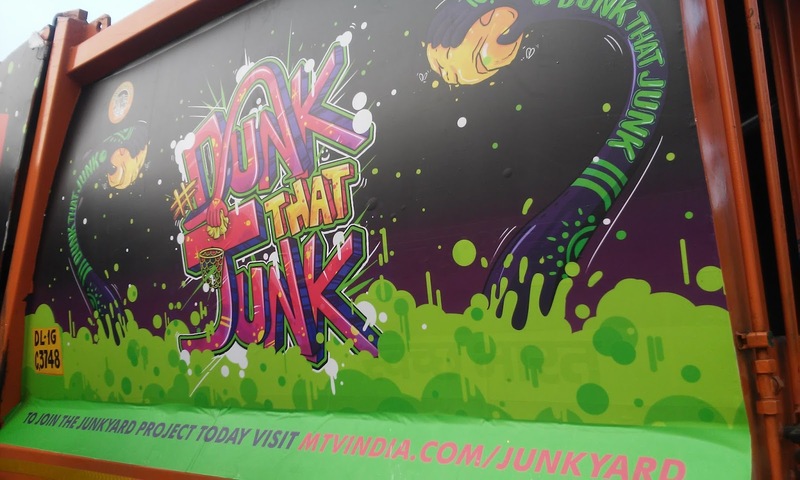 Both of them uncovered the NDMC truck with a graffiti that shouts out to ‘Dunk That Junk’ in the dustbin.The colorful dump trucks will be a persistent reminder of the plethora of undesignated dumping grounds across cities. The graffiti dump trucks will be a bold and unexpected messaging to the city to stop littering and Dunk That Junk where it belongs.Besides this, 14 NDMC workers were awarded a letter of appreciation and microwave ovens to encourage their work of cleaning our city. As a parting shot- Randeep Hooda nominated Salman Khan, Amitabh Bacchhan and Aishwarya Rai Bacchhan for dunk that junk challenge! Are you game? Previous post: Make in India- Manish Malhotra- The Regal Threads! Next post: Events update! Watch this space! this web page is in fact nice and the viewers are in fact sharing good thoughts.